The establishment of the Erica School is a pointed example of what is possible when one person has the passion and determination to achieve their goal. In the case of the Erica School, it was a young woman of 26 who exuded this zeal and an almost fanatical determination, despite patriarchy being the dominant social norm. Born in Clanwilliam, as a child she bore her fair share of raising her infant step-brothers and sisters. This did not preclude her from devoting every spare moment to studying. Perseverance in the face of difficulties would have daunted many of her peers. As such she was clearly a woman beyond her time, a superwoman, if you will, as her dedication to her studies knew no bounds. She successfully passed the Cape University Matriculation Examinations and she qualified as a teacher shortly after turning 21. It is not very clear why Miss van Wyk relocated to Port Elizabeth in 1881. Perhaps it was now that she desired to translate her pipe dream into a tangible reality. Initially she resided at Kenmore House and then subsequently at No 40 Upper Richmond Hill Road. This is not far from No. 35 Irvine Street where she discovered the hall at which she opened her private school in 1883. This hall still stands today. 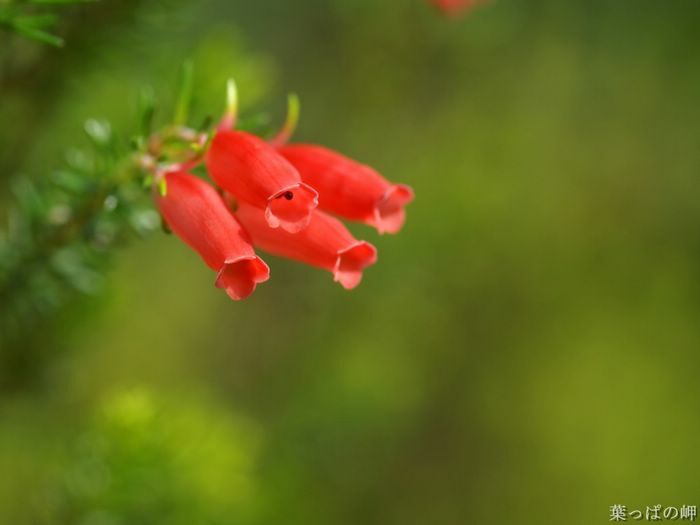 The name that she selected to call her school was the Red Erica, a heath with flowers of glowing scarlet which grew in abundance nearby. This hall is still known by this name to this day. 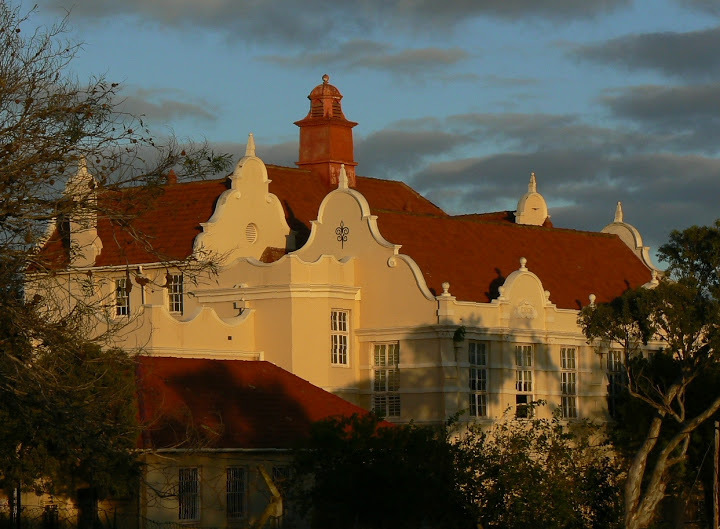 At the time of the establishment of this school, Port Elizabeth was already adequately serviced by four other schools to serve Port Elizabeth’s burgeoning population of 33,000. 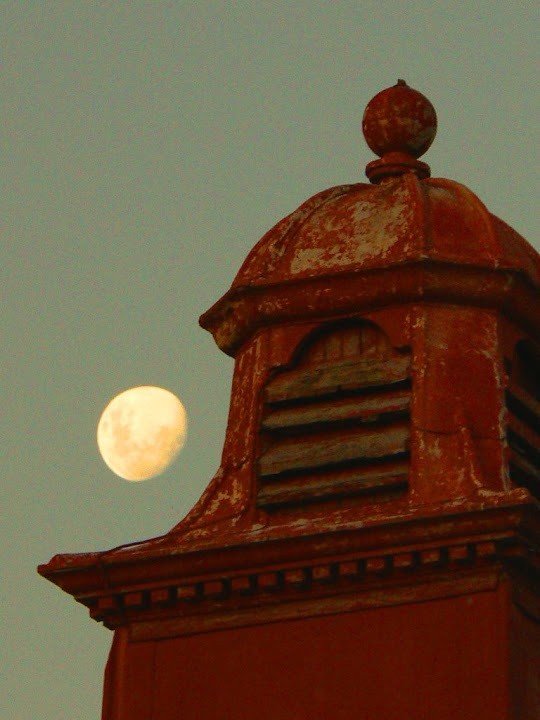 The first to be established in 1856 was the Grey Institute in Belmont Terrace overlooking the Donkin Reserve. This school had two offspring, or satellite campuses, North End Grey founded in 1863 and South End Grey – now Victoria Park – established in 1874. Independently of these institutions, the Collegiate School for Girls was also established in 1874. 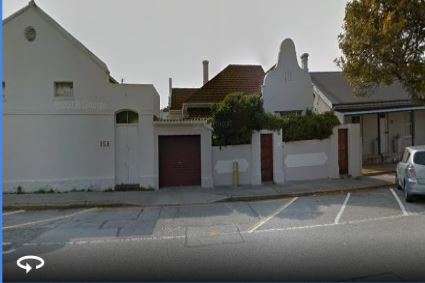 Even though the other schools could probably service the schooling needs, the probable reason for the Erica’s establishment was that Miss van Wyk perceived a niche in that the closest girls school was Collegiate School for girls in Bird Street. It was shortly after opening her school that Miss van Wyk moved into a small cottage at No. 56 Mackay Street. Little did she know but this cottage would become her permanent residence. It was ideally situated as the Hall was located in the street behind her accommodation. 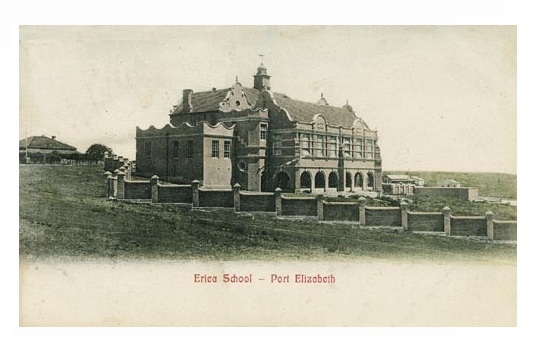 With the torrid growth of Port Elizabeth, the number of pupils at the Erica School steadily increased. With almost messianic zeal, Miss Van Wyk imbued the girls with her own high standards. In turn, reciprocity prevailed as the pupils enthused with affection and admiration for her. 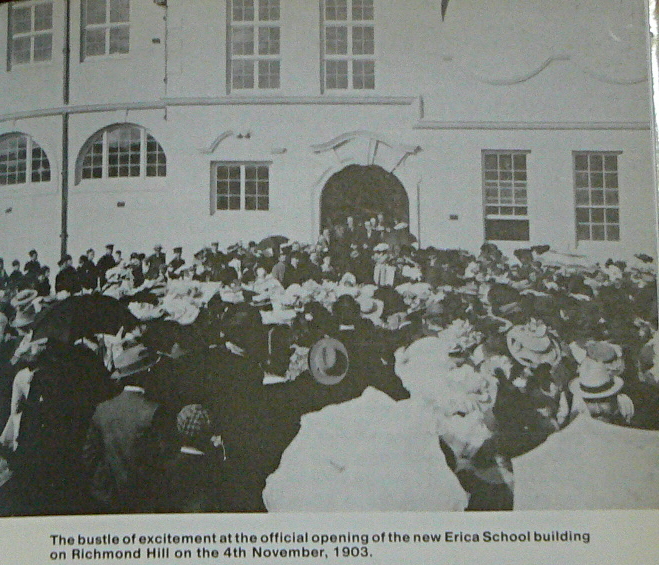 1898 was also to be a seminal year for Erica School when Miss van Wyk consented that the Erica School be incorporated as part of the Grey Institute. The staff included 4 educators and 115 pupils – 87 girls and 28 boys. Boys were enrolled by parents whose sisters attended Erica as well as to relieve congestion at the Junior Grey School. The last of the boys left in 1958. Erica was recognised by the Education Department of the Cape Colony as a First-Class School for Girls. By 1900, the increase in the number of pupils and the fact that Erica Hall had not been built as a school, resulted in overcrowding. To provide additional accommodation, rooms in semi-detached houses – now numbers 52 and 54 Mackay Street – were adapted to serve as temporary classrooms. 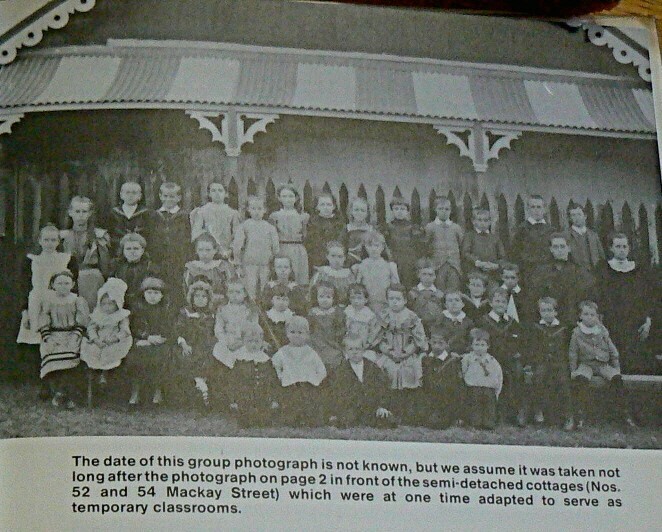 These extemporised classrooms were officially opened by Superintendent-General, Dr. Muir, in July 1900. In his address, Dr. Muir was extremely complimentary regarding Miss van Wyk’s diligence and solicitous manner and paid tribute to her achievements in making Erica Girl’s School the success that it had become. He attributed the achievements of the school solely to the ability and character of Miss van Wyk. 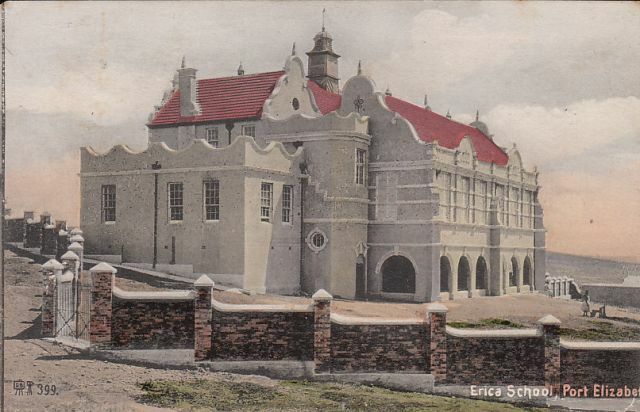 Dr Muir concluded his address by wondering aloud – possibly presciently – whether on his following visit to Port Elizabeth he would be asked to open a building of a different character, more suited for use as a school with twice the number of teachers. Finally he recalled his first visit to Erica School and especially the reception that he was accorded by Miss van Wyk. Perhaps with tongue in cheek he characterised it as being treated as an errant schoolboy kept waiting outside the door as if he was a spy. After some cajoling and perhaps even some flattery and smooth talking, he was admitted. Despite the auspicious welcome and a hasty visit, it did culminate in Dr Muir being convinced that Miss van Wyk embodied the qualities as head of a girls’ school. She did make amends by pledging her allegiance to the Department which enabled him to promise in turn that as long as he was involved, he would support the teachers. 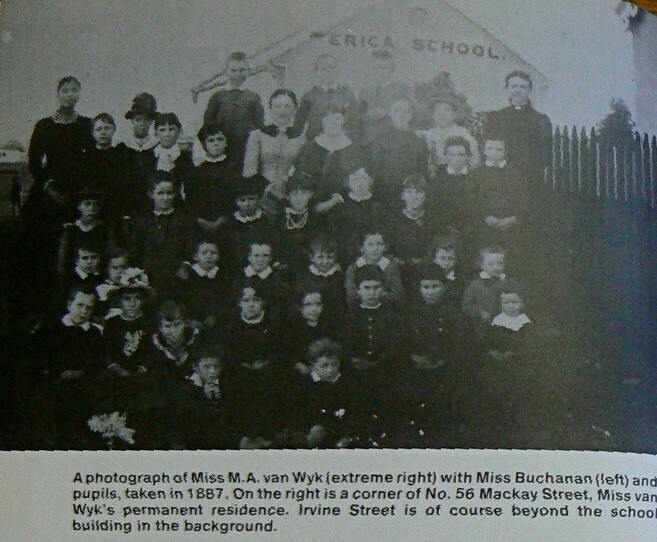 Group photographs of Erica School pupils taken in front of either 52 or 54 Mackay Street. Like all good intentions or policies, they are foredoomed to modification or outright scrapping as the realities of operationalising them is attempted. So it was with the girls’ only policy. Miss van Wyk’s avowed policy was that one of the characters of the Erica School would be that it would operate as a girls’ only school. When the parents with small boys who resided in the vicinity prevailed upon Miss van Wyk to accept them as scholars, she obliged. Miss van Wyk might have been strict but she was no harridan. The only caveat was that boys would only be allowed as pupils from Sub A to Standard 3. This policy was applied until 1930 and again after WW2 when it was decided to admit boys from Sub A to Standard 1. This was only an interim measure in order to relieve congestion at the Junior Grey School. The last of this cohort was to leave Erica in 1958. 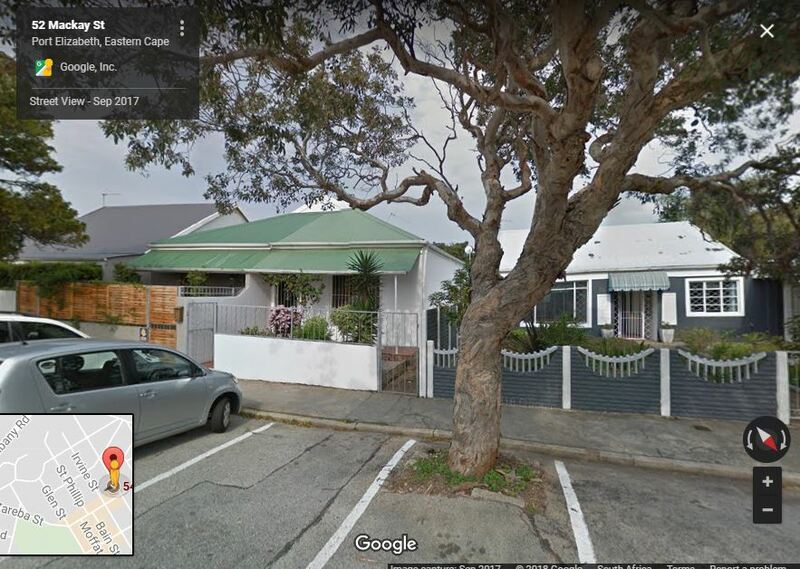 All three houses – 52, 54 and 56 Mackay Street, as distinct from the Erica Hall itself, were owned by Miss van Wyk. Apart from superficial changes, these three houses are largely the same as what they were in those far-off days. In 1889, the school employed four full-time teachers and their enrolment was 115, of which 28 were boys up to Standard 7. In addition, there were visiting and itinerant teachers who taught subjects such as Singing, Drawing and Drill. The school hours were from 8h40 to 13h20 but were later amended to 8h30 to 13h30. At the turn of the century, the Inspector’s Report on the Erica School makes various comments about its operation. Below are three extracts which illustrate the difficulties under which teaching was performed in the Erica Hall in Irvine Street. 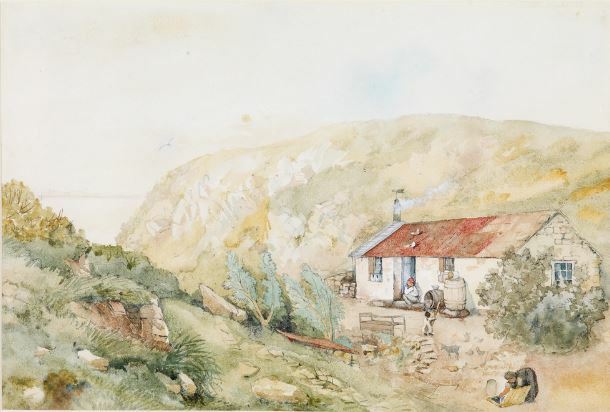 The highly significant words “a site not far from the present position” was a veiled reference to a piece of ground overlooking Cooper’s Kloof, modern day Albany Road. Miss van Wyk’s diligence had been rewarded. She had dared to dream and, with every fibre in her being, striven to achieve that dream. How ecstatic she must have been when she accompanied the Rector and the Standing Committee on an in loco inspection of the proposed site. As the group stood on the brow of the hill overlooking the once strong stream which flowed in this wooded kloof, pride must have welled in Miss van Wyk at such an idyllic location. 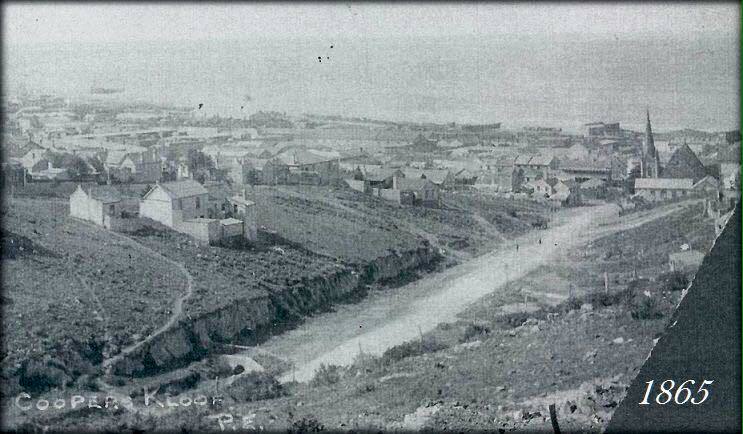 Gazing further out, they would have spied a menagerie of sailing and steam ships at anchor in the bight of Algoa Bay. Even further out, in the shimmering haze, the rocky peak of St Croix island would have been visible. Her cherished pipe dream had finally transmogrified into a tangible reality. Perhaps it was this singular effort which had impaired her health but whatever it was, Miss van Wyk was compelled to take a term’s leave in April 1902. When she resumed working, the constant demands on her time and energy were taking a heavy toll on her health. As the summer leaves first changed from their spritely green to a more subdued green and then into bright reds and oranges and then finally shrivelled and fell to the ground so did the last of the autumn Erica flowers fade on Richmond Hill. In sync with this sequence so did Mary Anne van Wyk fade away, finally passing away in her home, Erica Villa, in Mackay Street at the tender age of 46 years and 7 months. A sombre mood swept the pupils both at the sad news but also at the passing of summer into winter. Miss van Wyk’s contribution to education was immortalised in the many tributes that were bestowed upon her by the press. “The wide-spread grief at the demise of Miss van Wyk, the Lady Principal and founder of the Erica School, was made the more manifest yesterday afternoon (20th April 1903) at the obsequies [funeral right] of the deceased lady. The remains were placed in the school room yesterday and prior to moving off, a short but impressive service was held at which all the deceased’s assistant teachers and pupils attended. The cortège started at four o’clock, preceded by nearly all the school children and teachers, neatly dressed in black and white, many of them carrying bunches of white flowers. Following the hearse were the pall-bearers. 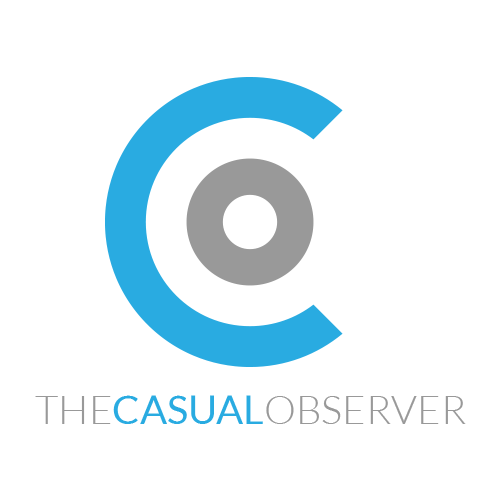 His Worship the Mayor (J.C. Kemsley Esq. ), Mr W. Chubb Meredith, M.A., Rector of the Grey Institute High School, Mr. D.M. Brown, Mr. D.M. Whyte, Mr J.W. Goldsbrough and Mr. A. Baldie. Amongst the large number of other gentlemen and friends who showed their regard for the deceased lady by following her mortal remains to their last resting place, were the representatives of other schools and the Grey Institute Board of Managers, among whom were Mr John Daverin, Mr. George Brown, Mr W.T. Morgan, Mr M. Gates, Mr. D. M Brown junior, Mr Taylor, Principal of the North End Grey Institute, Mr Bollen, Principal of the South End Branch, Mr. Le Cornu and Mr. McCleland. Miss Pride, Lady Principal of the Girls’ Collegiate College, were also present. Ironically the grave does not bear her name. This is a timely reminder not only of the esteem that society used to place on the teaching profession but also of the important role that diligent, hard-working people perform in uplifting society. And Miss van Wyk was clearly one of those. The arrangements for the opening of the new Erica School were made by the Chairman of the School Board, Mr. J.W. 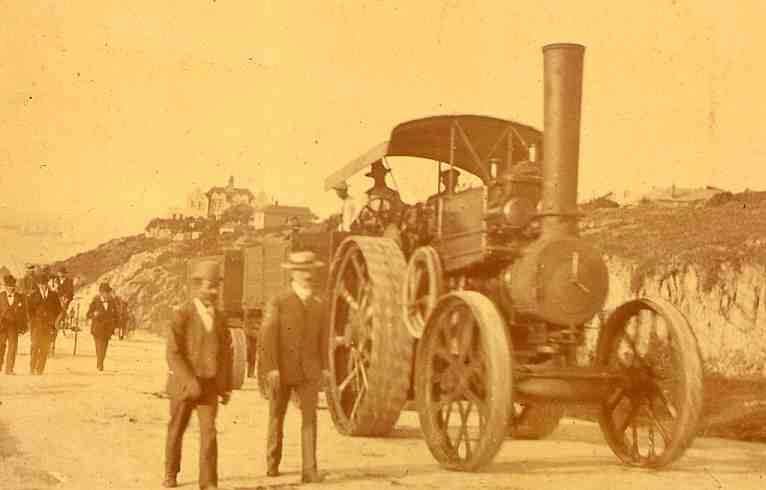 Goldsbrough and Messrs G.M. Brown and J.W. Atkinson. A rather lengthy account of the opening of the school was furnished in the Thursday 5th November 1903 edition of the Eastern Province Herald. “Yesterday (4th November 1903) saw the public official opening of the new handsome and commodious Erica School, the ceremony being performed by Dr. Muir, the Superintendent-General of Education. There was a large attendance of the public present, principally, however, composed of ladies, the hour, four o’clock, being rather inconvenient for businessmen to leave their office. Among those we noticed were His Worship the Mayor, Mr J.C. Kemsley, Reverend J. McRobert, Reverend W. Dower, M.M. Loubser, D.M. Brown, J. Daverin, J. Wynne senior, J.W. Goldsbrough, K. Turner, E. Rowling, T. Morgan, D.M. Whyte, Inspectors Milne and Cuthbert, W, White-Cooper (Architect), D.M. Brown junior (Secretary), Mrs J.C. Kemsley, Miss Muir, Miss Pride (Ladies’ Collegiate School), the teachers of St. Paul’s School and the Sisters of Nazareth Home. A guard of honour, formed by cadets of the Grey High School under the command of Captain Chubb Meredith, with Lieutenants Rowley and Oliver, and the Sergeant-Major McCall, P.A.G (Prince Alfred’s Guard) drill instructor, fell in at the old Erica School in Irvine Street, and marched to the new building, forming up at either side of the main entrance. The lads looked smart and trim in their neat blue uniforms, and the precision with which they obeyed the word of command and handled their carbines, reflected much credit in their instructor. The children of the Erica School, who had also formed up at the same place, marched with their teachers to the new school, and were arrayed in lines in front of the entrance. The staff of the school is composed as follows: Miss W Smith L.L.A. of St. Andrew’s, certified teacher, Chichester Training College, England; Vice-Principal, Miss A.H. Wright, Intermediate B.A; Kindergarten Mistress, Miss Buchanan; Assistants, Misses Oettle, Hitzeroff and Gedye. 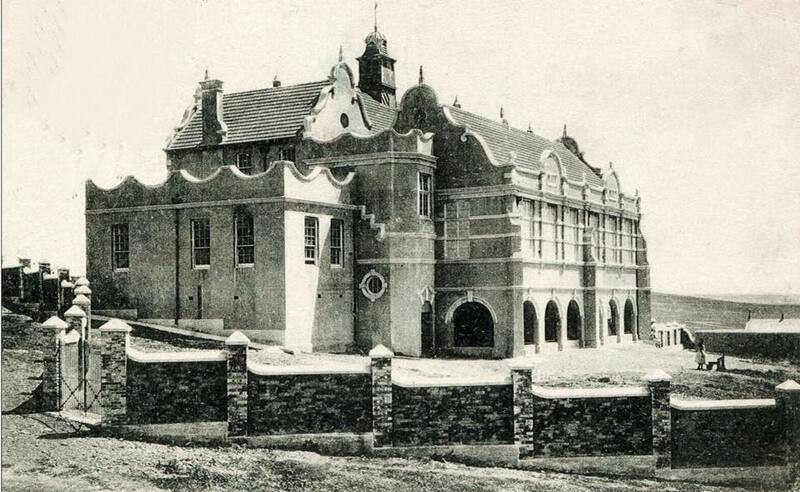 The school house which is a handsome building based somewhat upon the Old Dutch style of architecture, is a large commodious structure, standing on Richmond Hill, overlooking Cooper’s Kloof, and is a credit to the Grey Foundation. On either side are gables with extended wings, surmounted with a handsome clock tower and vane, the highest point of which is 68 feet above the ground, the tower itself being 22 feet above the roof. This is called the Van Wyk Clock Tower, and will be a permanent memorial to the late principal, Miss van Wyk. The clock to be placed here is the one at present surmounting the Town Hall, and will be illuminated. The front of the building faces west, while the back overlooks the Bay. Both sides on each elevation are the same. 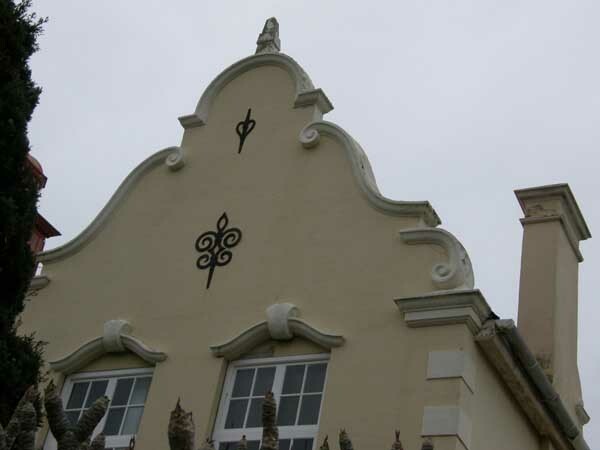 The colour of the building will be cream and white, forming a pleasant contrast to the red tile roof. On the front elevation the two main entrances give admittance by means of wide stone steps, to a porch and from there into a hall 20 feet by 10 feet. On the right on the one side and the left on the other are lavatories and cloakrooms each 21 feet by 9 feet, and between these is the Kindergarten classroom 44 feet by 9 feet, which is entered by means of a passage off the hall. Raised steps in tiers have been constructed along the one side of this room for the desks and the pupils, while facing them is a large blackboard on the wall extending the whole length of the room, while the desks are marked with squares etc. for the better instruction of the pupils. In the centre are folding doors constructed on the concertina plan, by means of which the room can be divided into two classrooms if necessary, a door through the partition giving admittance from one to the other. At the back is a large classroom, which can readily be converted into a hall for concerts etc., also divided by folding doors on the same plan as previously explained. The room is 62 feet by 30 feet. On the same floor is another classroom 25 feet by 18 feet and a teachers’ room fitted with a fireplace for the convenience of the staff, and on the opposite side the cooking room with stove and all the accessories necessary for the teaching of the art of cookery, and also a library. The first floor is reached from both front and back by means of handsome staircases. On this floor in the centre are two large classrooms 22 feet by 20 feet, while on the landing are large cupboards 6 feet by 2 feet and 7 feet high for the reception of school necessaries. This floor projects at the back over the first floor , thereby giving cover in the basement to a large playground 64 feet by 30 feet with asphalt floor for use in wet weather, which is railed in all round with fancy railings. In the basement there is also a storeroom 18 feet by 12 feet and a pupil teacher’s room 24 feet by 18 feet, all asphalt floors. All the classrooms are fitted with blackboards on the wall facing the scholars, and extending the whole length of the room. The school will be surrounded by a 9 inch brick wall, with 18 inch piers with plastered brick coping, the wall being 6 feet in height, the entrance being fitted with 10 feet iron gates. This wall will be painted to match the school. The desks are from the Bennett Furnishing Company, London. 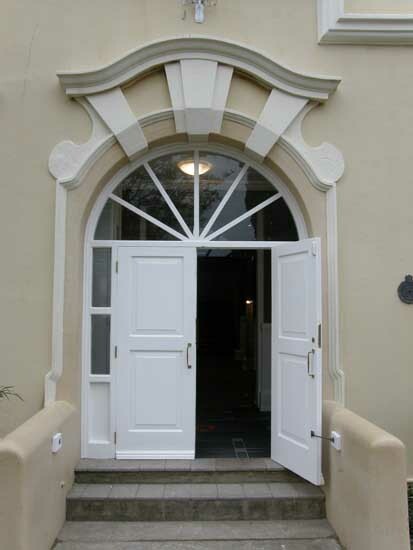 The work reflects the highest credit upon the architect, Mr W. White-Cooper, of Grahamstown (this expert on school buildings was also responsible for the design of the North End Grey School, which was officially opened on 20 July 1900 by the Superintendent-General of Education, Dr. Muir) , and upon the contractor, Mr H.J. Beckett, both of whom have carried out their work to the entire satisfaction of Dr. Muir and the Board of Managers, the former of whom is loud in his praise of the work. Mr. J. Winter was the Clerk of Works. The Mayor standing in the porch proceeded to speak in the very highest terms of the noble work done by the late Miss van Wyk in the interests of education in Port Elizabeth, and especially in connection with the Erica School. It was mainly due to her influence that the great developments in this school had taken place. He went on to offer a most hearty welcome to Dr. Muir, and expressed his admiration for the stand he had taken in connection with education. Mr. J.W. Goldsbrough, Chairman of the School Board, requested Dr. Muir to open the school, at the same time handing him a silver key as a momento from the Board of Managers of the occasion. The key was inscribed as follows: ‘Presented to Dr. Muir, Superintendent-General of Education, on the occasion of his opening Erica School, Port Elizabeth, 4 November 1903.’’ The key was the work of Messrs. A. Fischer & Company. Dr. Muir then declared the school open, upon which three cheers was given. “The scholars attired in neat white frocks, and each carrying a small bouquet presented by Mr A. Baldie, were seated in front, immediately behind the cadets. Miss A. Wright then charmingly presented Miss Muir with a lovely bouquet which was gracefully acknowledged. Reverend J. McRobert having offered up a prayer, the Mayor briefly introduced Dr. Muir. Dr. Muir, who was received with applause, expressed himself as exceedingly pleased to hear the Mayor’s remarks concerning the late principal of the school. He wished to add a word in addition, because it was the fine character he perceived in Miss van Wyk on the occasion of his first visit to her school that led him to induce her to come under the same umbrella as the other schools in the town…..the Grey Management, and said he was very pleased to hear that her name was to be associated with part of the new school. The Erica School was now set on next voyage of its life. Storms would beset it and the doldrums would becalm it, but the school would sail ever onwards to its destination, the preparation of it’s passengers to handle the vicissitudes of life. May we please use and edited version of this essay (with necessary acknowledgement) on our Richmond Hill website? Go ahead. Just acknowledge that the source is the blog. Do you perhaps have old photos of the Erica School that I could use. Unfortunately no, nothing else on the school. Will share with you when I find anything.